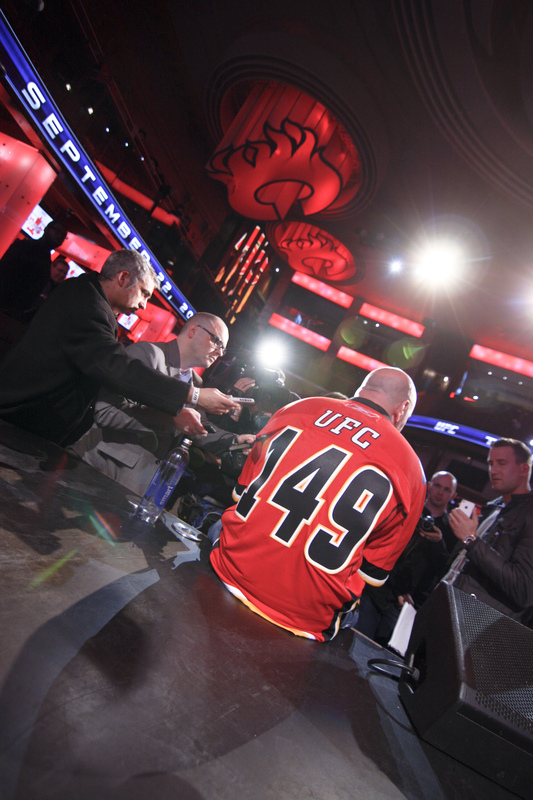 Dana White, president of UFC, was doing a media scrum in Flames Central (March 2012). To clarify, I am not a UFC fans. Someone treats it as sport, while someone never stands its physical violence. It is just like if you can understand why poker game is a sport-game; I definitely cannot.